while at my sisters house a while back i discovered this magical way to have oatmeal for breakfast without having to actually make oatmeal for breakfast in the morning. it takes you zero time to make during one of the busiest times of the day because it “cooks” itself in the refrigerator overnight! so it is literally the easiest oatmeal you’ve ever made (much faster and far better-tasting than any 2-minute microwave oatmeal you’ve had). i say it’s like a sundae because it is so thick and luxuriously creamy it really almost feels like i could be eating ice cream with some delicious hot fudge sauce. except i don’t need to feel guilty. 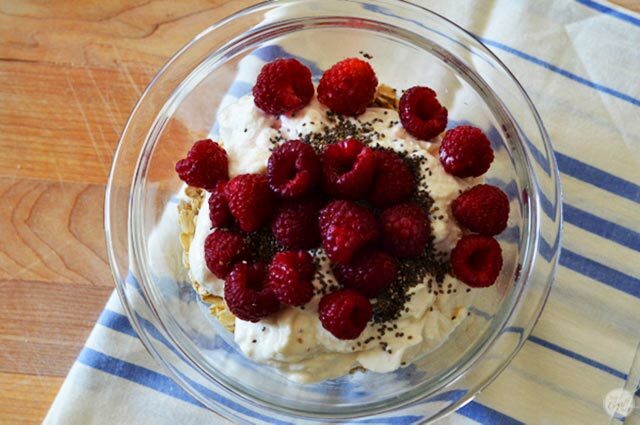 oatmeal, yogurt, milk, chia seeds, and berries/fruit. 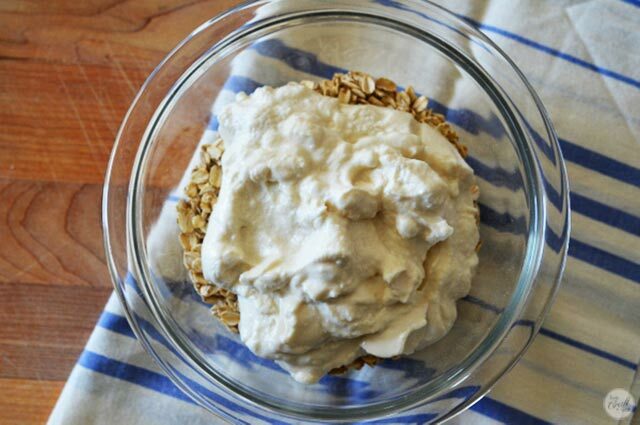 –greek yogurt – it doesn’t have to be greek yogurt, but i love vanilla-honey greek yogurt so that’s what i use. i think it gives it a really rich and creamy texture. (and if i don’t have vanilla-honey yogurt in my fridge, i just add in some honey separately). 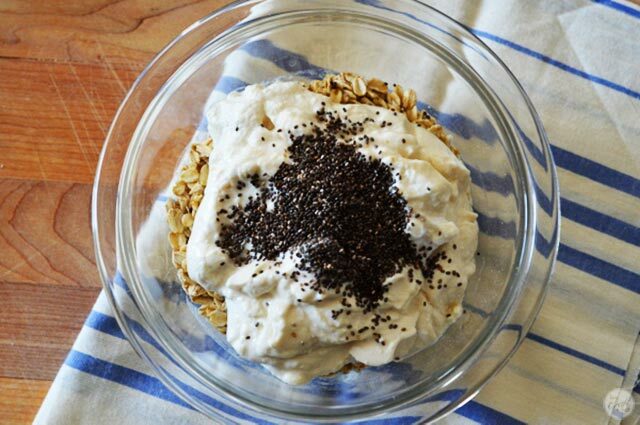 whatever plain or vanilla-flavored yogurt you like will work great! –milk – you can also use any kind of milk you like, but my kids and i love almond milk. 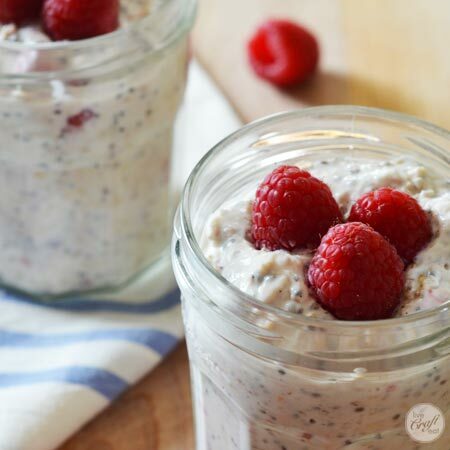 –chia seeds – these are totally optional. but they’re also totally good for you. –berries and fruit– you can use whatever fruit or berry you’d like. chop it up fresh in the morning and stir it in, or mix in some fresh or frozen fruit the night before. 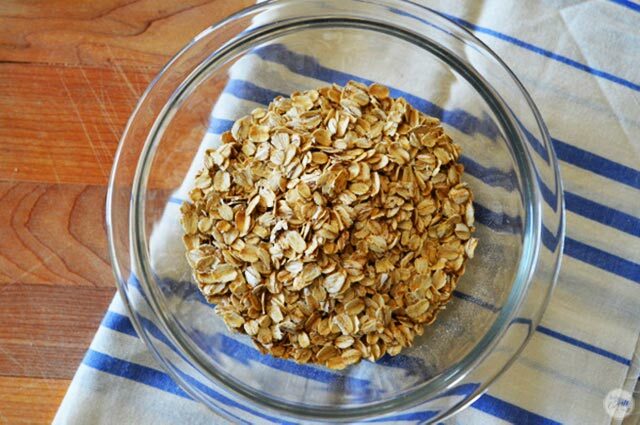 so here’s how you make this ridiculously easy overnight refrigerator oatmeal. 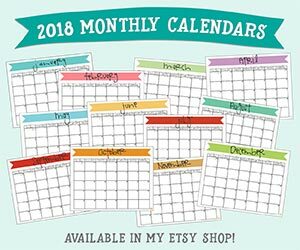 i don’t even know if i can handle how easy and quick it is to make…. throw the oatmeal into a bowl. 3. add the chia seeds, if you’re using them. or add honey, or a little bit of cinnamon if you’re going to add apples next. just add whatever you want. mix it all together and spoon it into individual jars (or just cover the bowl with plastic wrap). stick them in the fridge for at least a few hours, but overnight is ideal. it will just be waiting for you to wake up first thing in the morning and enjoy! this easily feeds four people, but you know what, it makes a great mid-afternoon snack. so you may want to make double the recipe. just sayin’. here’s the handy dandy recipe! 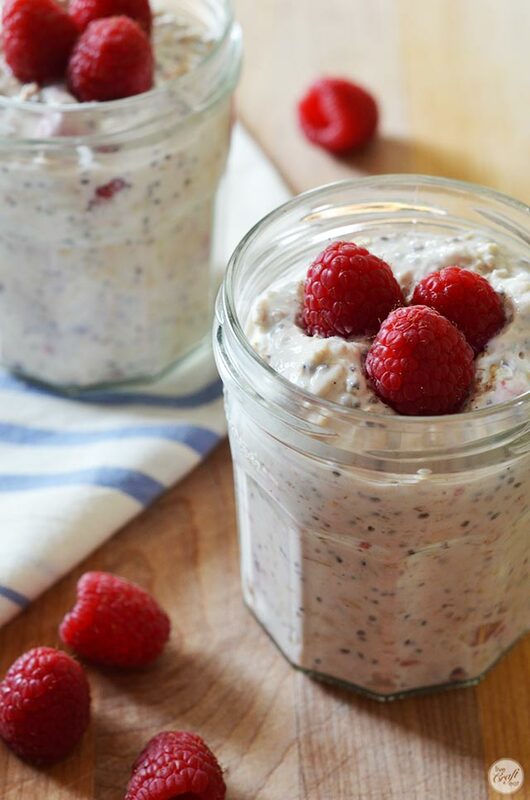 the night before, mix together the oats, yogurt, milk, and chia seeds and fruit (or you can add the berries/fruit the following morning - up to you). in the morning, top with fruit and/or berries. serve. 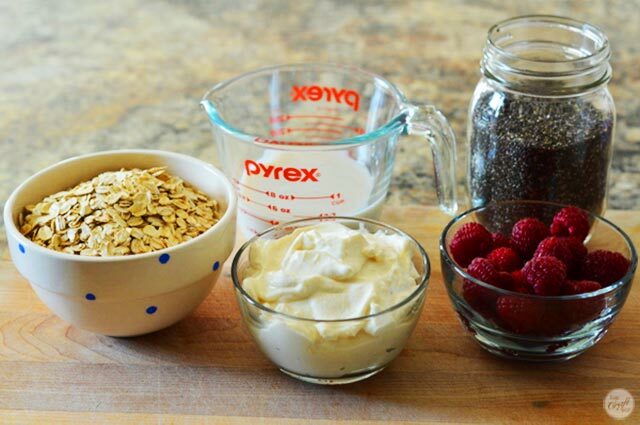 if using frozen fruit or berries, mix them in the night before with the oatmeal mixture. the texture of the fruit will be different than fresh fruit. You have laid this out so nicely! I will share this with my sisters! Going to try this this week. Looks awesome.